Awami League general secretary Obaidul Quader, who is undergoing treatment in Singapore, will undergo a heart bypass surgery today. “Obaidul Quader will undergo a bypass surgery on Wednesday at Mount Elizabeth Hospital in Singapore,” said Professor Abu Naser Rizvi, who was accompanying the politician there. The operation will start at 10:00 am (Singapore time). Cardiothoracic surgeon Dr Sivathasan Cumaraswamy will carry out the surgery, he added. On Tuesday morning, cardiothoracic surgeon Dr Sivathasan briefed family members of Obaidul Quader on his physical improvement. The family members of the AL general secretary sought ‘doa’ (prayers) from the countrymen for his quick recovery. 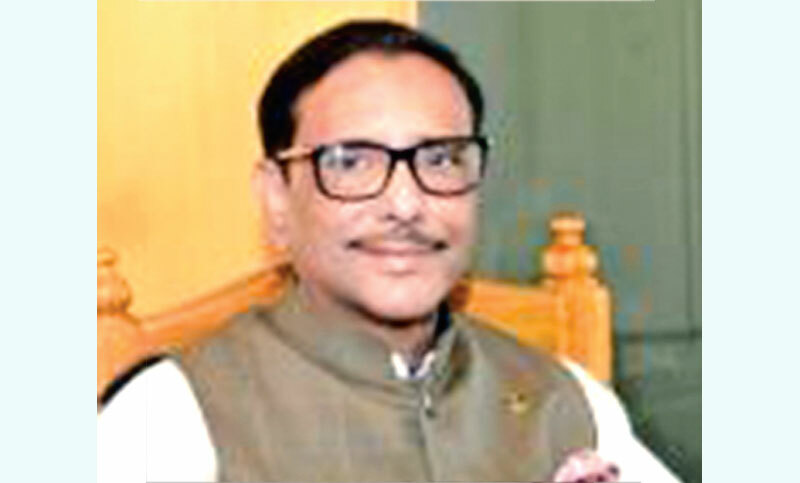 Quader’s wife Isratunnesa Quader, his younger brother Abdul Quader Mirza, Road Transport and Highways Division secretary Nazrul Islam, Bangladesh High Commissioner in Singapore Mostafizur Rahman and AL leader Alauddin Nasim, among others, were present at the briefing. On March 3, Quader was admitted to BSMMU with breathing complications and diagnosed with three blocks in the heart. On March 4, Quader was flown to Mount Elizabeth Hospital from BSMMU for treatment.